TradCatKnight Exclusive: The Jews, Still God's Chosen? 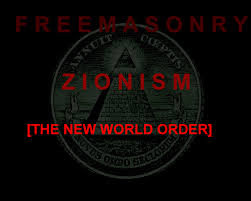 TradCatKnight: Satanic Hexagram, TRUTH Behind "Star of David"
TradCatKnight: "The Ugly Truth of Zionism"
TradCatKnight: "Dr. Sabrosky (Jewish Ex-Marine) Expose on Israeli Involvement of 9/11"
TradCatKnight: "Fr. Kramer, Ecclesiastical Masonry Pt. 2 Q/A"
TradCatKnight Radio: "They Will Kill & Think They Do God's Service"
TradCatKnight: "ISIS, The Zionist's Latest Boogeyman"
An Eagles Message, "Let My People Go!" Subscribe to TradCatKnight on Youtube! Over 750 videos and nearly 40k subscribers. Inspirational: Best of the "Good News"
Video of the Day- BLACK MASS in Mexico Exposed! Earth Changes: Whole USA moves in 48 hours! False Flags: 3-22 Brussels Attack, UK & USA Next?